Dublin, Ireland – September 10 2018 – 9 Story Distribution International is pleased to announce that it has acquired worldwide distribution rights to the new 3D animated preschool series Dr. Panda (39 x 7’), excluding China, Hong Kong, Macau, Taiwan and select rights within MENA. Based on the popular, award-winning app franchise that has over 95 million downloads and 5 million active users per month, the program is Dr. Panda’s first 3D series and has a targeted completion date of December 2018. 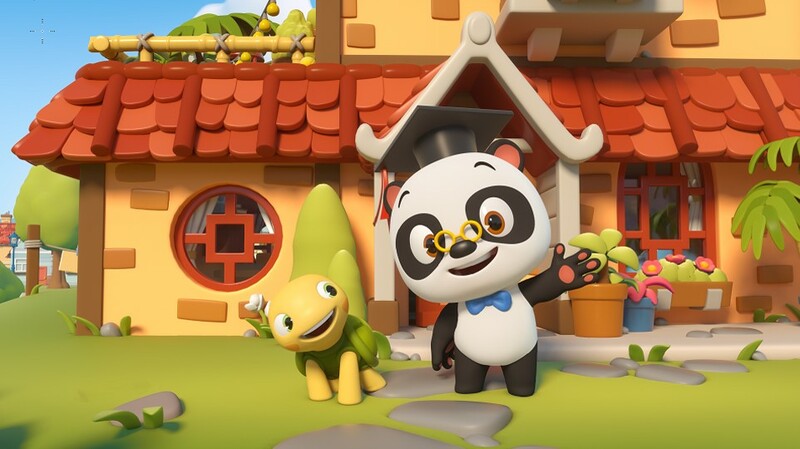 Developed for children ages 3-6, Dr. Panda is created and produced by Lin Yan with Giggle Garage (Origanimals, Kazoops, Cam and Leon) and Spider Eye (Jungle Junction, Thomas & Friends, The Happos Family). The series is written by Daan Velsink (Panic!, Snapshot, Bingo!) and Chris Parker (Peppa Pig, Shaun the Sheep) and directed by Patrick Chin. 9 Story Distribution International will launch the series at MIPJR and MIPCOM where it will be showcasing several completed episodes. The series takes place in the wonderful world of Panda City, where every day Dr. Panda tries out a new job working together with his friends. A mix-up at the post office? A chicken stuck in a tree? Carrots mysteriously disappearing? No problem! With a dash of creativity and a good deal of teamwork, Dr. Panda always saves the day! 9 Story Distribution International is the international distribution arm of 9 Story Media Group, a leading content creator, producer and distributor of kids & family focused intellectual property. Recognized around the world for best-in-class brands such as Daniel Tiger’s Neighbourhood, Wild Kratts, Barney and Garfield and Friends, 9 Story Distribution International represents over 3,500 half hours of animated and live action programming, seen on some of the most respected international channels and platforms. With facilities in Toronto, New York, Dublin and Manchester, 9 Story Media Group employs almost 700 creative and corporate staff.